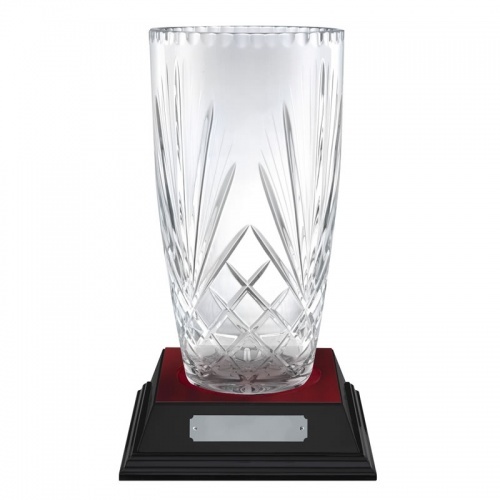 Classic crystal presentation vase in finest quality 24% lead crystal, with handcut decoration and a large blank panel for engraving. These 'Pompeii' awards vases stand 10in (250mm) tall and are supplied in a blue storage box. A recessed wooden base with engraving plaque is available to complete your crystal presentation vase award. Also available in larger and smaller sizes - see Related Products, below. 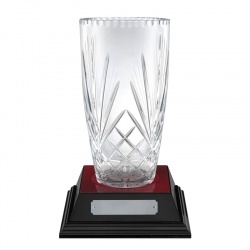 24% lead crystal with handcut decoration, optional wood base. 12in tall. 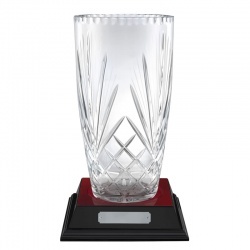 24% lead crystal with handcut decoration, optional wood base. 8in tall.